Zurn Yacht Design and MJM will introduce the new MJM Yachts 35Z project at the Fort Lauderdale International Boat Show. Zurn Yacht Design and MJM Yachts will present the result of their collaboration at the Fort Lauderdale show. The show opens Thursday and will continue through Monday. Zurn said the 35z’s fuel efficiency, 50-plus-mph speed and 300-plus-mile cruising range are achieved with twin 300s and only 250 gallons of fuel capacity; competing designs need triples and 400 gallons for the same results. The boat has twin 300-hp outboards, joystick docking with GPS station keeping and the option for a Seakeeper 3.5 DC gyrostabilizer option. 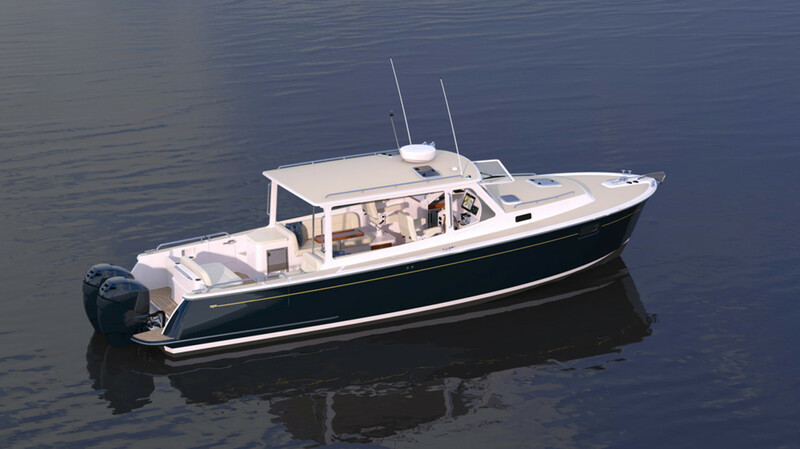 Zurn said he will be available for private meetings during the Fort Lauderdale show to go into details on the MJM 35Z and other current projects (the Zurn-Neb38 and Duffield 58 trawler).